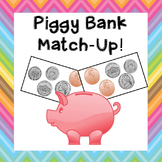 Money Game: Piggy Bank Coin Match Game! 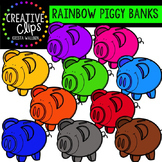 Piggy Bank Counting Money Craftivity! 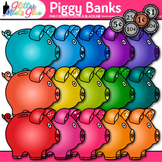 PIGGY BANKS WITH FLOWERS CLIPART (COLOR AND BLACK LINES): GREAT ADDITION TO OTHER MONEY CLIPART! 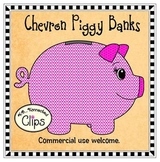 A CUTE SET OF PIGGY BANK IMAGES to use in your money unit or any other applicable topics. Crispy clear images (300dpi), png format! Included you can find 11 images (10 COLOR AND THE BLACK LINE ART). 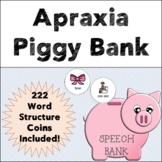 Nickel and Penny Piggy Bank Practice! 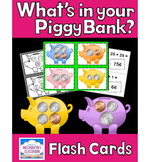 This worksheet can be used to practice counting nickels and pennies. 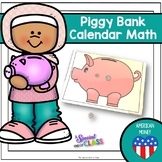 The math textbook series my first graders use combines nickels and pennies in the addition unit in conjunction with "count on" addition. 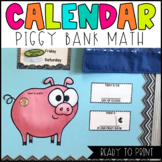 I tried to use money in a variety of ways to engage students! 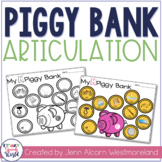 Two books for students to use in a math center with coin stamps or stickers. Students circle or highlight sight words (I, see,in,the) with a yellow marker and color the piggies.